Oklahoma City – Nov. 1, 2018 – Native American heritage, innovation in design and a bold look make up the second Oklahoma City Thunder City Edition uniform, designed in partnership with Nike. 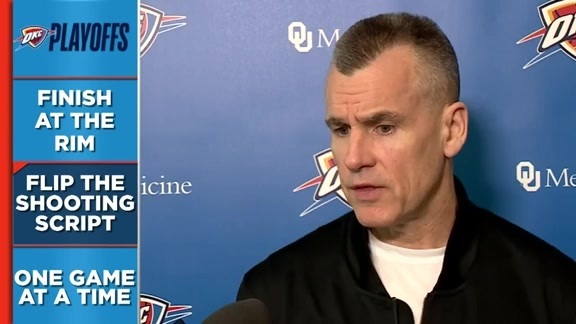 On Thursday, the Thunder released the full design of the City Edition, which is deeply influenced by the culture of the tribal nations in Oklahoma. The Thunder will wear the uniform for the first time on Wednesday, Nov. 14, vs. the New York Knicks at home. 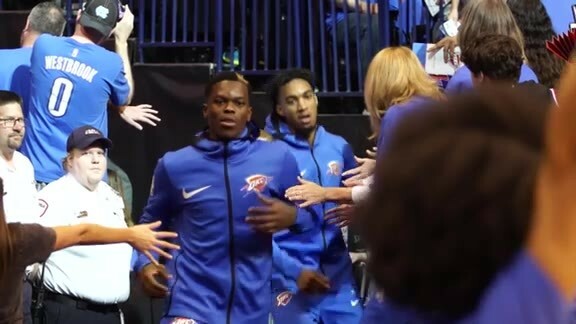 The team is slated to wear the uniform at least six times at Chesapeake Energy Arena this season. The lead design element of the uniform is turquoise, representing the 11th anniversary stone and the native color of friendship. It also coincides with the Thunder’s 11th season. 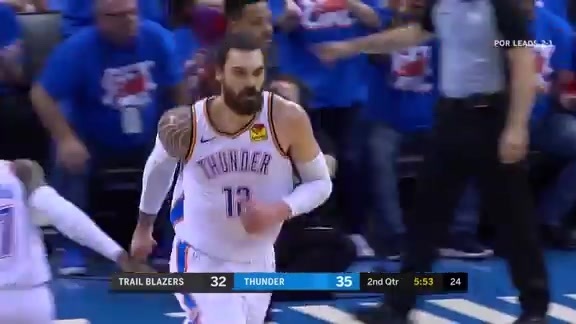 Interlocking letters create “OKC” on the jersey’s chest, with separate shapes blending into one another to create one shape. Boldly set, the belt pattern on the shorts is derived from a traditional sash and represents the various individual communities expanding outward, pointing toward and blending with each other. Encompassed by the Four Corners, all shapes point inward to gather at OKC. The short vent graphic is inspired by the turtle shell, the circle symbolizes the Earth and recognizes the tribes that line the outside. Primary stripe elements point east to welcome the rising sun and guide the way. 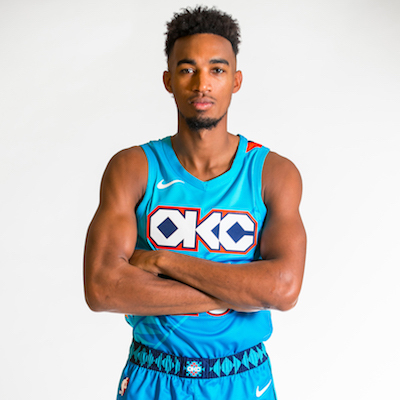 The limited-edition turquoise City Edition jerseys will be on sale starting Nov. 9 at the Thunder Shop at Chesapeake Energy Arena and through the team’s retail website at okcthunder.com/shop. Images of the uniform and additional visual content is available at okcthunder.com/city. That includes a video featuring the Nike designer, himself Native American, who created the uniform’s unique design.